The inverse base rate fallacy is the case when too much weight is given to the complex priors / original fundamentals, downgrading newer information. In other words, people tended to give higher probability to a rare outrun when tested with a combination of conflicting priors or cues. Some research has shown that the key effect of the base rates on judgement error is that base rate presence distorts our analysis by making more frequent outruns of uncertain events more important in our analysis. Thus, more common realizations of the uncertain gambles are magnified in perceived frequency, overriding either the original priors (neglect) or the changing nature of the priors (inverse neglect). You really can't avoid stumbling on both of these manifestations of the fallacy in today's Bitcoin markets analysis. A 'guru' of Bitcoin investment world has been issuing absurd forecasts like a blind drunk armed with an AK47: fast, furious and vastly inaccurate. The dude, armed with 'fundamentals' (unknown to anyone in the finance research universe, where predominant consensus is that Bitcoin has no defined price fundamentals), has predicted BTCUSD at $22,000-$25,000 for the end of 2018 some months ago (back in January). 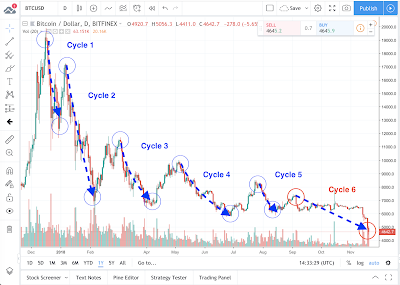 He upped the ante around March by 'forecasting' BTCUSD at $91,000 some time before the end of 2019, and scaled this back to $36,000 in May. 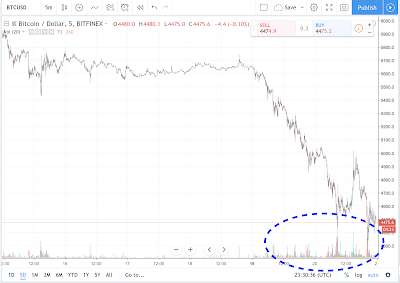 He then re-iterated his $25,000 target in July, just around the same time another 'Hopium sniffing' 'analyst' - Julian Hosp - put a target of $60,000 for BTC in 2018. 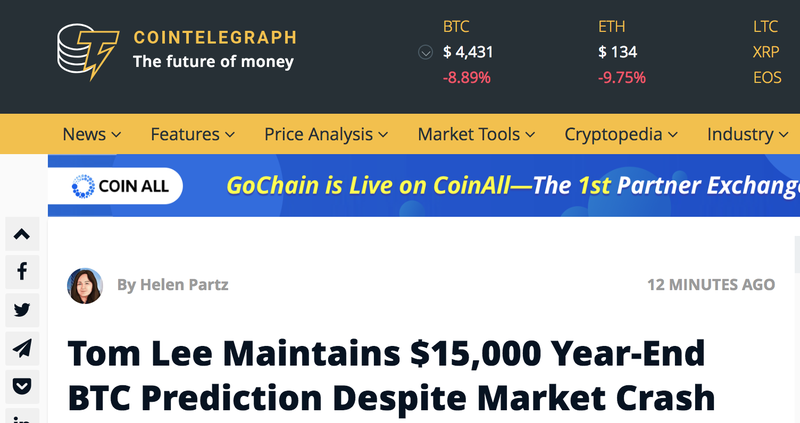 Four days ago, Lee scaled back his 'forecast' for the end of 2018 to $15,000. This comes on foot of the guru adding lots of mumbo-jumbo to qualify his optimism, saying in early November 2018 that he was "pleasantly surprised" by Bitcoin's stability around the newly found price floor close within the $6,400-$6,500 range. Taking decreasing doses of the sell-side drug-of-choice, Mike Novogratz was a bit more 'reserved'. 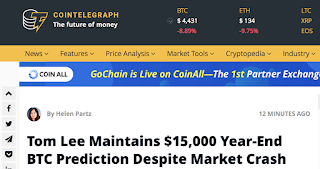 In November 2017, struck by the recency bias (the fallacy of not even bothering considering any information other than hyperbolic BTC price dynamics around the end of 2017), he 'forecast' Bitcoin to reach $45,000 by November 2018. This 'forecast' was trimmed back to $9,000 for the end of 2018, issued by Novogratz on October 2, 2018. There were madder ravings still on offer this year. Mid-April 2018, Tim Draper and CNBC's Brian Kelly pushed out (separately) 'research' arguing that BTC will be hitting $250,000 by 2022. Lee's prediction for 2022 target was $125,000 per BTC mid-January 2018, and advised investors to follow his alleged strategy: "We expect bitcoin's major low to be $9,000, and we would be aggressive buyers around that level... We view this $9,000 as the biggest buying opportunity in 2018." Note: this drivel has been reported by the likes of Bloomberg, CNBC, et al - the serious analysis folks, employing a bunch of CFAs. I mean, you wouldn't be conflicted if you employed institutional investors trading in Bitcoin as your analysts, would you? Of course, not! Next up: CNBC to hire Wells Fargo sitting executive to analyse Wells Fargo. 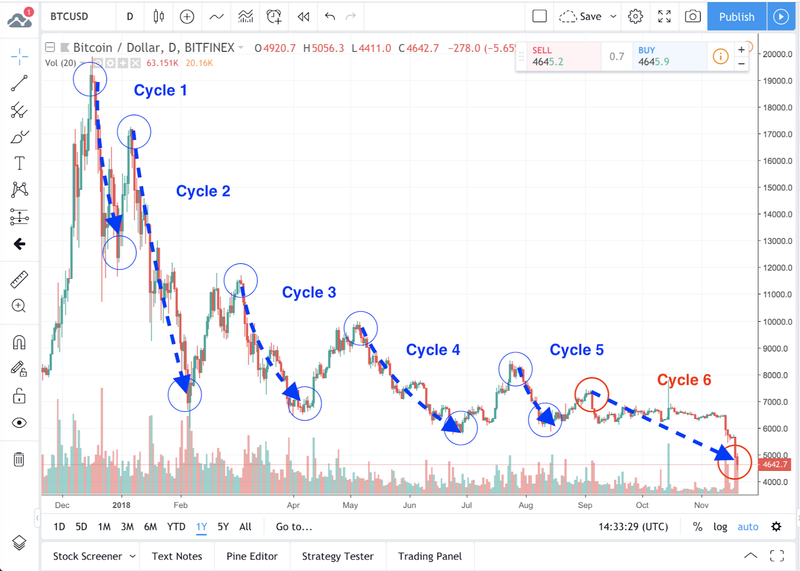 Ever since the collapse of the parabolic trend, Bitcoin price dynamics can be seen as a series of down-trending sub-cycles, with only one slight deviation in the pattern since mid-September 2018 (the start of the 6th cycle). I wrote about this back in August, suggesting that we will see new lows for BTCUSD - the lows we are running through this week. 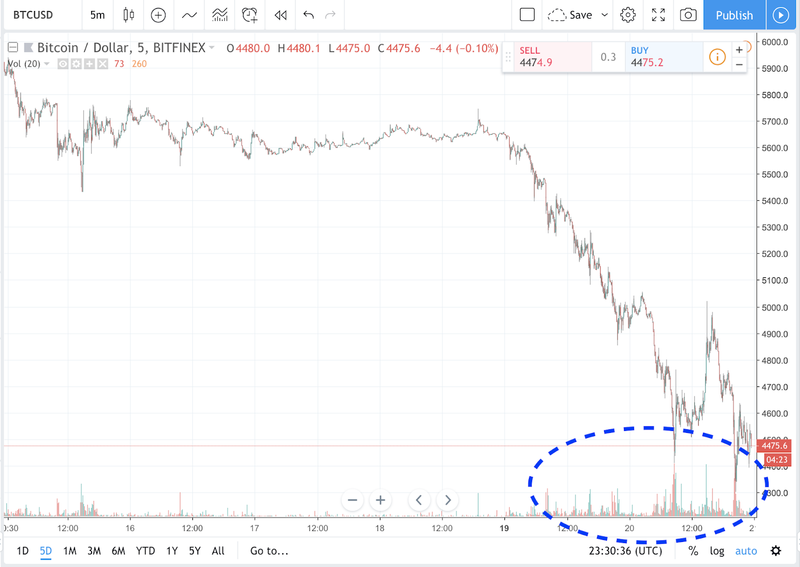 When you look at liquidity (trading volumes), you can see that the 'price floor' period from mid-September through the start of November has been associated with extremely low trading. This runs contrary to the 'fundamentals' stories told by the aforementioned 'analysts': the increasing efficiency of the cryptos networks and mining, the growing rates of cryptos adoption in the real economy, and the rising interest in cryptos from institutional investors. If the miners decide to double-down in hope of price stabilization and continue to beef up their fiat cash reserves to pay for loss making mining, there will be a new sell-off coming soon. Behaviorally, both mean that at some point in the future (no, I am not talking about end-of-2022 outlook, but something much sooner), the Whales will decide to cut losses and sell their holdings. As usual in such circumstances, first off, retail investors will step in to soak up some of the supply avalanche. The first sellers in this game will be the winners. The followers will be the relatively uninjured party. The hold-outs will end up with the proverbial bag in the end of the game. It is how all bubbles end up playing out in the end.